Chelsea are understood to be keen on signing Inter Milan wonderkid Davide Bettella after extensively scouting the player. According to The Sun [via the Daily Star], the Pensioners have regularly sent scouts to Italy to watch the 15-year-old in action in recent weeks and, encouraged by what they’ve seen, are intending to bring the youngster to Stamford Bridge. 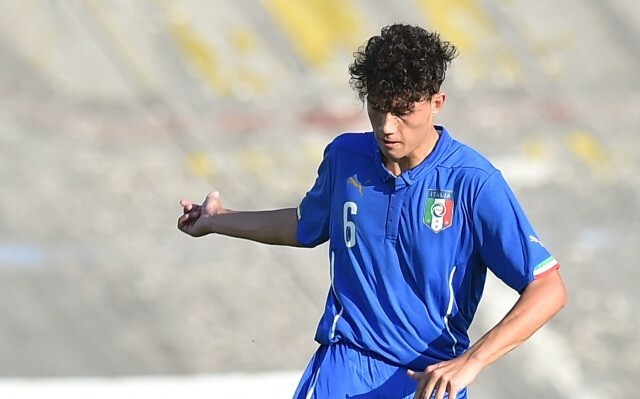 The report states that Bettella is already an Italian youth international, and while he is highly unlikely to be ready to challenge for the Blues first team any time soon, he has all the qualities to make a big name for himself in the game. While Chelsea have forged an effective policy of youth investment in recent years—signing the best youngsters from around the world, farming them out on loan and hoping some become stars—their January transfer activity would suggest that there is an increased initiative at Stamford Bridge to mop up some of Europe’s finest wonderkids. The news on Bettella comes only days after the Daily Mail noted that the reigning champions were interested in Barcelona’s 12-year-old sensation Xavi Simons, and the evidence suggests that Roman Abramovich remains keen on investing his team’s attention and focus on lining the academy with the finest starlets of tomorrow.